Since the early days of oils, artists have made high demands regarding the durability of their work. In order to meet these demands for optimum durability, Old Holland still produces all its classic oil paints according to traditional formulas (the durability of which has been demonstrated over the course of time), supplemented by the latest contemporary insights. The choice of pigments is a unique mix of the best traditional colours and the best pigments derived from the latest technological developments. In 1985, following extensive research, Old Holland presented a revolutionary range of 168 oil paints, each with the highest degree of lightfastness. Traditional, non-lightfast pigments were replaced with modern lightfast pigments with the same colour characteristics as the traditional ones. Thanks to the highest possible concentration of pigment in each colour, the paint has an unprecedented colour strength. 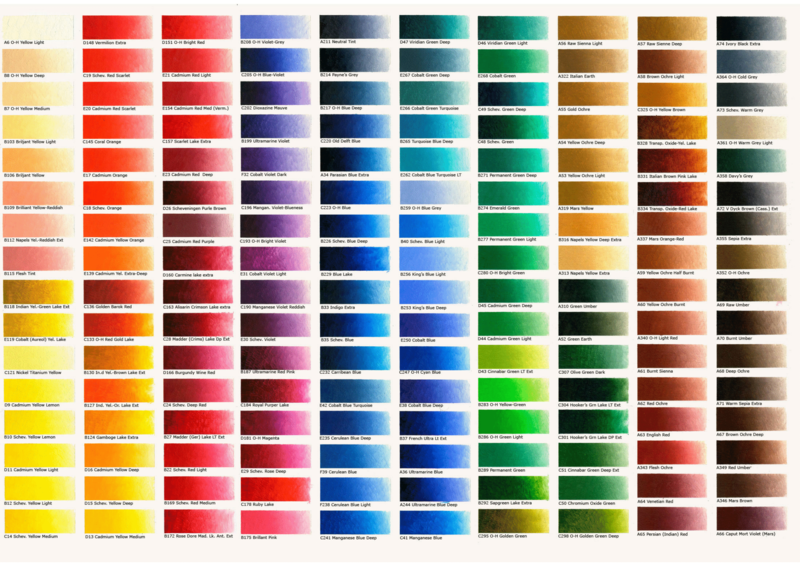 Within the unique range of 168 colours, there is a wide range of opaque and transparent colours, each with the highest possible brilliance (intense) and clarity (clean) characteristics. The only medium we use for our oil paints is cold-pressed extra virgin linseed oil, to obtain an optimum oxidisation (drying) of the paint. This increases durability and brushstroke spread. Together, these characteristics result in an oil paint of unequalled quality. Each tube of Old Holland oil paint has a colour strip above the label, painted with the colour from the tube in question. We are convinced that this is the only honest method to show the colour in the tube. Old Holland is one of the only company that still uses this method.